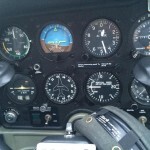 Yesterday I took an introductory flying lesson (a gift from my children). I was flying a single engined Grob C115A aircraft; a great little plane even if it has a slightly unfortunate name. As we taxied for take-off in very wet and blustery conditions, my instructor sorted the necessary permissions from the control tower for ‘Charley-Alpha-Charley’ with “two souls on board” and then he told me that while he would be doing the take off and landing, I would be doing all the flying once we ‘got up there’…YIKES!!! The take off was a little bumpy (and sideways!) and we were soon at 1,000 feet. My instructor told me to take the wheel and proceeded to watch as I took over the flight. I was flying the aircraft. I could hear Air Traffic Control informing unseen aircraft to be aware of ‘Charley-Alpha-Charley’ in their area. Even though I couldn’t see them, all of a sudden I became conscious of a 360º world around me. As my instructor got me to climb to 1,500 feet, then 1,700 feet, turn left & right and descend, I was expected to do so while maintaining my altitude, speed and keep to specific headings. I also had to account for the blustery wind that had a tendency to blow the little plane sideways as I aimed for “a path between that town and the smoking stack on that factory”. It was a fantastic experience. After we landed we had a de-brief where I noted that it was a much more complex task than I had imagined. This complexity related to the fact that I had to deal with additional dimensions while we were ‘up there’ that I don’t have to deal with in my land-based life. 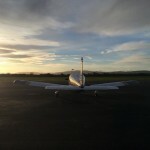 So why have I recounted a flying experience in a blog for businesses? I believe what I experienced in flight is something that many business owners fail to recognise and deal with when managing their businesses. My experience over the Kildare (Ireland) countryside gave me real experience of a 3- and 4-Dimensional world similar to that which affects all businesses. However, I believe many businesses still operate in a relative 2-Dimensional environment. When I lecture my Business students, I like to use Porter’s 5-Forces model to highlight how the world outside a business can affect the operation. As a Supply Chain consultant, I am immensely aware that a business MUST operate in a world that is outside the ‘bubble’ of its own operation. My flying lesson gave me first hand experience of this. From a business sense, I see the 2-D view as the traditional view we get when driving a car (yes I appreciate that our world is a 3-D environment, but bear with me). When we drive a car, we can go forward and backward, turn left or right only. We cannot move vertically and, unless we drive off a cliff, we cannot descend vertically, so we operate on a flat plain; 2-D. In business, this means that we focus on our own little bubble and it’s direction. Our decisions are designed to get us to a destination, somewhere out there, elusive. Just as in our cars, we become cocooned in our business world as we drive on to our destiny. Sometimes we are forced to take a detour, which can knock our confidence or slow us down, but we remain in our cocoon. At a minimum, I believe we need to stop being a driver and become a pilot for our business. We need to become aware of the 360º environment that we actually operate in. In air travel, planes travel in virtual corridors and, as long as they stick to their corridor, they will always be separate to other aircraft. However, in order to ascend or descend, they must pass through other corridors. In the busy world of air travel, Air Traffic Controllers (ATC) manage the movement of aircraft as they operate in this 360º, multi-level environment. In our business world, we don’t have the benefit of ATC to help us so we must keep our wits about us. We must become mindful of what’s going on around our businesses. We must look outside our ‘bubble’. To do this we must allow ourselves to stop what we are doing and ‘glance outside the window’. During my flying lesson, I was instructed to line the nose of the aircraft with a point just below the horizon and then keep moving my gaze from the altitude and angle of flight gauges (the internal references) with the horizon (the external references) while, at the same time, looking out for specific landmarks (“fly between that town and that factory stack”; “fly towards that lake”) and other ‘businesses’ (aircraft) operating in the area. From a flying experience, this was suddenly uncomfortable. At times I felt that I was now being tossed a lot of additional balls to juggle; manage the internal operation, focus on a direction ahead of me, and be mindful that there are external influences operating above, below, in front of me, behind me and on either side of me. Some of these external factors could be smaller (not many), most were bigger and virtually all were moving faster and at different speeds to me. For a moment, I felt like a very small cork floating in a very big ocean. I believe, many businesses feel the same way, particularly micro-enterprises that consist of one or two people (the pilot and co-pilot). Taking the 3-D view is an uncomfortable experience if a business owner hasn’t previously taken the time to look outside his/her bubble. However, I believe it is absolutely vital to success. To begin with, it provides you with two additional directions to help overcome obstacles. Where previously one would only have had the options to go left or right to get around an obstacle, the 3-D route now allows us to go over or under an obstacle. Another key element, I believe, in taking a 3-D approach to your business lies in the fact that we get to become more aware. We become aware of what’s going on ‘out there’ that could have an impact on our business; that sudden ‘gust of wind’ that could knock us off course, the ‘crash avoidance’ manoeuvre we must make to avoid a ‘collision’. We also become aware of where others are in relation to us and our business which gives us additional information that can help in our decision making. Finally, using the 3-D approach, we can see our route and, more importantly, we can set up ‘weigh-points’ on route to our destination (we might even see our destination in the distance in the same way the pilot can see the airport approach and landing lights as s/he prepares to land at his/her destination). 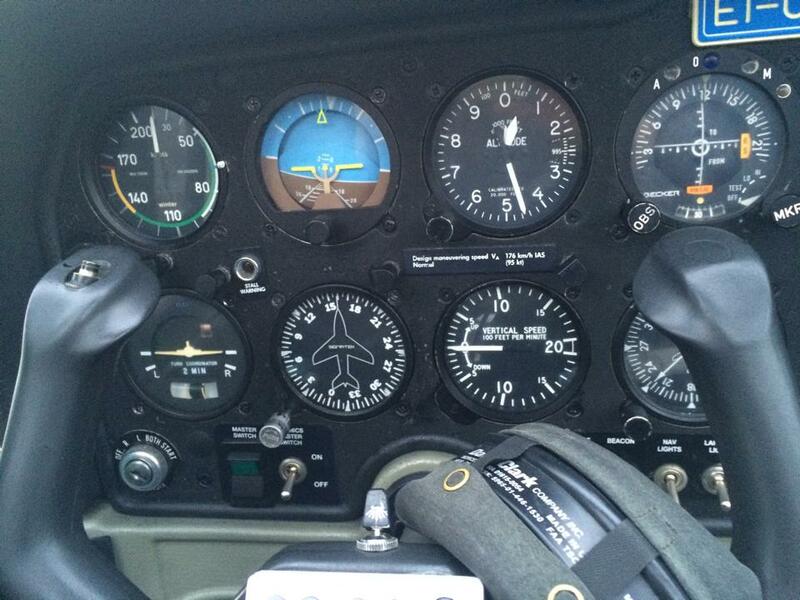 When we focus on the instruments (the internal stuff) we end up effectively flying blind. Albert Einstein theorised about time and space and 4-D seeks to add the element of time to a 3-D world. If we add time to our flight, we become more focused on the destination and the duration it will take to get there. We may need to establish a series of weigh-points (check-points) that we can use to gauge our progress. In lower-tech small aircraft, the focus of any flight is to use visual references from the landscape in order to maintain direction and arrive safely at the destination. Focusing on the internal instruments will not give you this information so while we will know our speed, height and that we are flying level, how will we know where we are and when we arrived? Using the 4-D approach, we can aim for the necessary weigh-points and then focus on the next weigh-point, and the next, and the next until we arrive to a final approach and landing. We can use our knowledge of how long it has taken us to get from one point to another to map our route and identify any possible issues before they become ‘life threatening’. In business, everything is time. “Time is money” is a popular phrase thrown about. Focusing on time, while we concentrate on internal processes only, doesn’t necessarily get us to our destination, it just gets the task at hand done. Without the benefit of external (3-D) referencing, how will we know we have succeeded and not over-shot our destination or, worse still, been blown off course? I believe that in order to be successful, we need to move from a more internally focused 2-D business approach to the more complex and holistic 4-D approach. Yes we must focus on getting our product/service/business ‘off the ground’ and for that, we must focus on our ‘instrument panel’. However, once we are in the air, we need to become much more spatially aware. We need to look to our horizon and establish weigh-points along the way to keep us focused on our direction. We need to make sure that we make the necessary ‘course adjustments’ to compensate for the external influences that can ‘blow’ us off track. We also need to become aware of the existence of others ‘flying’ in our area who may cross our path. Being aware of the additional corridors provides us with additional options to grow/climb with our business (we are not tied to the path/corridor we currently find ourselves in). By being time aware, we can focus more on the destination and getting there rather than focusing our attention on the gauges (internal elements). Focusing on the destination helps us manage our time and effort (fuel). Many business owners complain of “running out of steam” on their journey. In some cases, this is the result of too much of an internal focus rather than having a view of the route and destination. A pilot monitors his/her fuel and combines this knowledge with a view of the destination in order to ensure that they successfully arrive. This is done with the additional support of a continuously updated plan to safely land in the case of an emergency. If we focus on the internal elements of our businesses only, we might see that we are running out of fuel but, in such an emergency, when we look out the window to find a landing spot, we might find we are not over suitable territory for a safe landing. The result; crash and burn!! Today, take time out to check out your business environment. The gauges (product, service, process) are all there for you. Become aware of what’s outside. What ‘gust of wind’ is trying to blow you off course? What other ‘traffic’ is in your area that you need to be conscious of? Find some weigh-points that you can use to ensure you are on the right course. If you need to, don’t be afraid to consider climbing (or descending) to another flight level (corridor) which might be more beneficial. You are the pilot of your business ‘aircraft’. ATC gave you permission for taxi and takeoff with one or two souls on board. Whether you accept it or not, YOU are now operating in a 4-D environment. Your business is subject to external factors that you MUST become more aware of and manage (by changing direction, climbing, descending, speeding up or slowing down). Sometimes you may even have to divert around an issue before you can get back on track. Again, if you are too focused on the internals (gauges) you might find yourself in the middle of the storm instead of seeing it coming and taking evasive action. 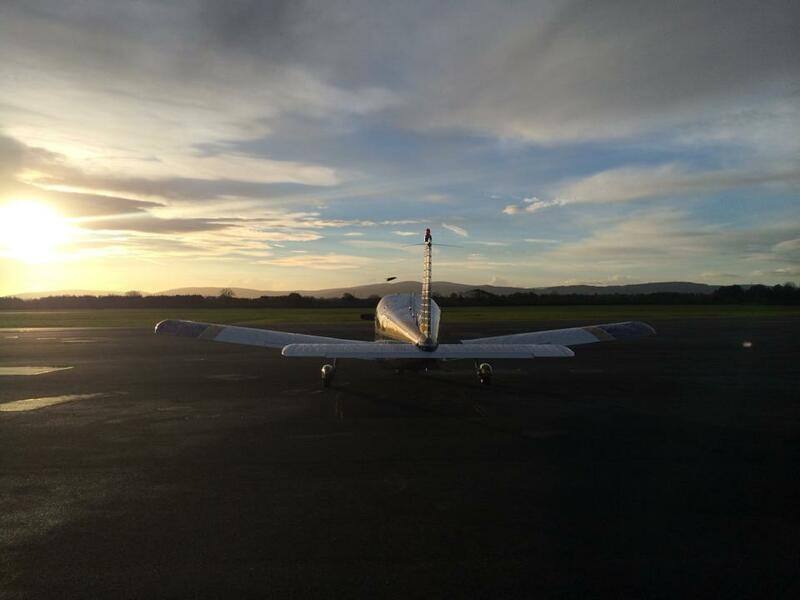 Flying (just like managing your business) is a complex task that requires constant monitoring and management while making adjustments to maintain direction, height and speed. It is also one of the most exhilarating experiences you can have. Strap yourself in, throttle up and climb to your success!! This entry was posted in Blog and tagged 2-D, 3-D, 4-D, Business, operating bubble, Perspective by admin. Bookmark the permalink.